April 22, 2019 by Laurie Leave a Comment This post may contain affiliate links, which means if you click on a link and purchase something, I may earn a small commission (at no additional cost to you.) See my disclosure policy HERE. 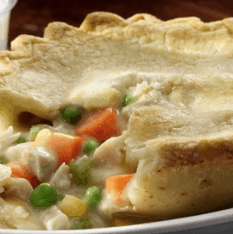 Have a Boston Market in your area? 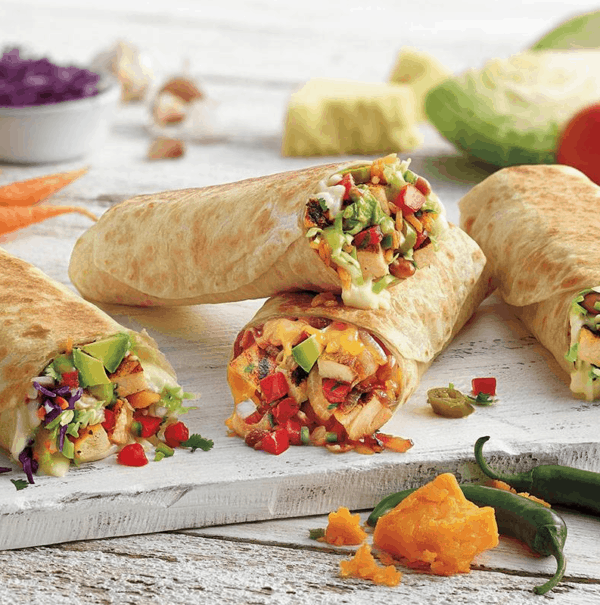 Grab this coupon to score a free meal when you purchase a meal and a drink through 4/23 ~ yum! 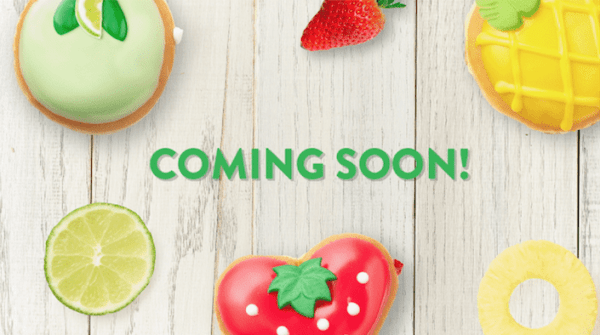 Krispy Kreme | Lemon Glazed Doughnuts – Available Now! Love Krispy Kreme? 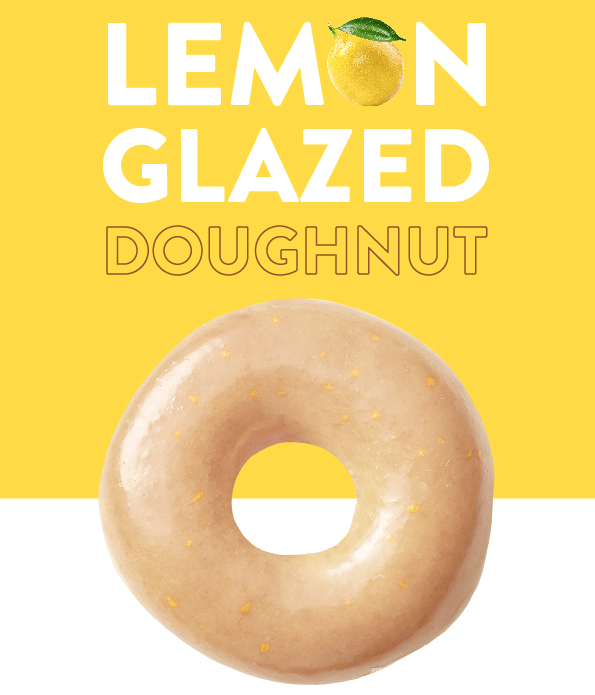 From now through 4/28, you can get limited edition Lemon Glazed Doughnuts at Krispy Kreme! These might be fun for a special treat this week. Plus, you can get a free doughnut of your choice when you download the app! We'll keep an eye out for any other fun deals on them! April 19, 2019 by Shannon Leave a Comment This post may contain affiliate links, which means if you click on a link and purchase something, I may earn a small commission (at no additional cost to you.) See my disclosure policy HERE. 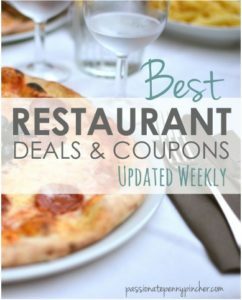 Here are your Restaurant Coupons this week! Leave a comment if you find any deals that aren’t included on the list . . . I always love to hear what restaurant offers are out there! Choose Carryout and fill out your information. Head over HERE Click the red “get a free burger” button on the bottom left corner of the page Enter your phone number and receive a text from Jack in the Box including a coupon for a free burger with drink purchase. 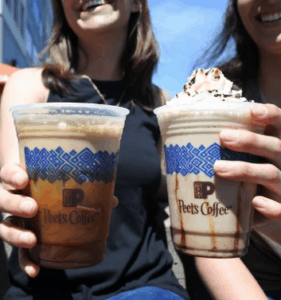 Free Beverage at Peet’s Coffee with App Download! Do you live close to a Peet’s Coffee? 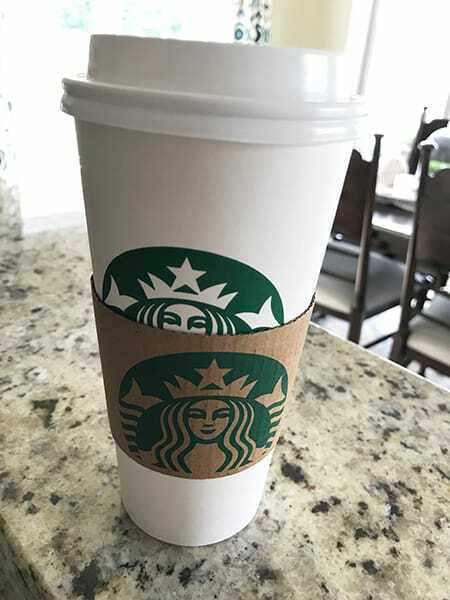 When you download the Peetnik Rewards app, you'll get a free drink for joining, plus earn points towards future drinks when you make a purchase! And you'll get a free drink on your birthday. Go HERE to learn more! Do you live near a Papa Murphy’s Pizza? 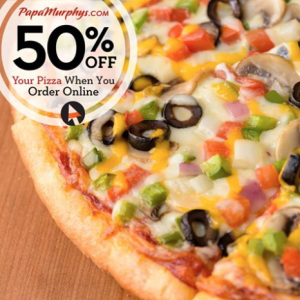 You can score 50% off your entire online order over $20 at Papa Murphy's ~ no code needed! Great way to save on dinner. (Limit 3). Go HERE to get started. Treat Yourself to ANY 2 DOZEN Krispy Kreme Donuts for just $13! This offer is for select rewards members ~ check your email to see if you got the deal! 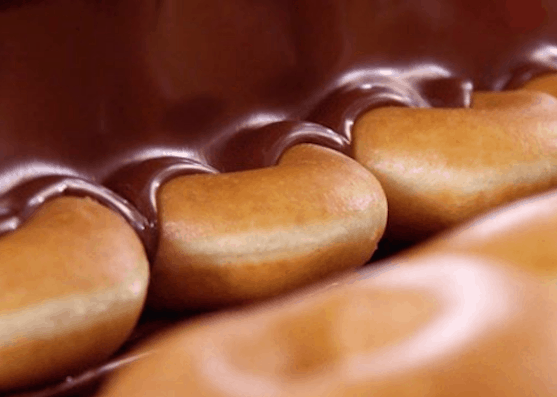 Now through 4/19, select Krispy Kreme rewards members (free to join) can score 2 dozen Krispy Kreme doughnuts for $13 at Krispy Kreme when you scan the email offer at checkout! Just check to see if you got the email. That works out to $6.50 per dozen. Get either 2 dozen glazed, or 1 dozen glazed and 1 dozen assorted. Go HERE to grab the app if you haven't already! On 5/14/19 from 4-8pm, you can score a free mini ice cream at Haagen-Dazs to celebrate Free Cone Day! Go here to find a participating shop near you, and enjoy your free ice cream! (You may want to give your local shop a call to make sure they are participating before you head out). Yum! Free Pretzel (+ BOGO Code!) at Wetzel’s Pretzels with App Download! 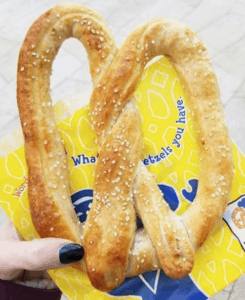 Right now you can score a free pretzel from Wetzel’s Pretzels when you download the mobile app! Get it from iTunes or Google Play. Plus, you can score buy one get one free pretzels through 5/15 when you enter the code BTSPAVEDTHEWAY in the rewards section of the app! 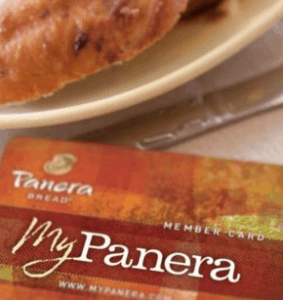 You can also earn points towards more free pretzels when you make a purchase through the app ~ yum! April 17, 2019 by Laurie 2 Comments This post may contain affiliate links, which means if you click on a link and purchase something, I may earn a small commission (at no additional cost to you.) See my disclosure policy HERE. I love this! 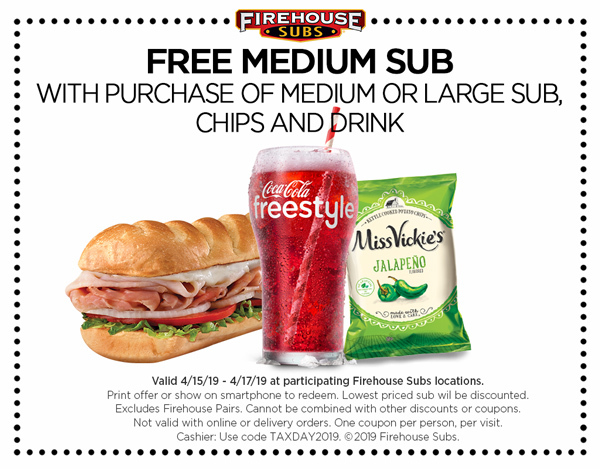 If you have a Firehouse Subs nearby, get a Free Medium Sub when you purchase another sub, chips and drink, valid through 4/17. Love it! Menchie’s Frozen Yogurt | Free $5 Reward with App Download! Do you have a Menchie’s Frozen Yogurt nearby? Right now when you download the free Menchie’s App, you'll get a free $5 Menchie's Reward to use on your next visit ~ YUM! 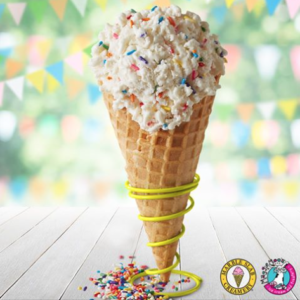 Free $5 Ice Cream Reward at Marble Slab or Maggie Moo’s with App Download! Have a Marble Slab or Maggie Moo's nearby? Right now when you download the free Slab Happy Rewards App, you’ll get a free $5 reward after your first purchase! You'll also get a $5 reward on your birthday and Slab Happy anniversary, plus you'll earn points towards more free ice cream when you make a purchase! Still working on those taxes? (Or just so glad to have them all finished up?) 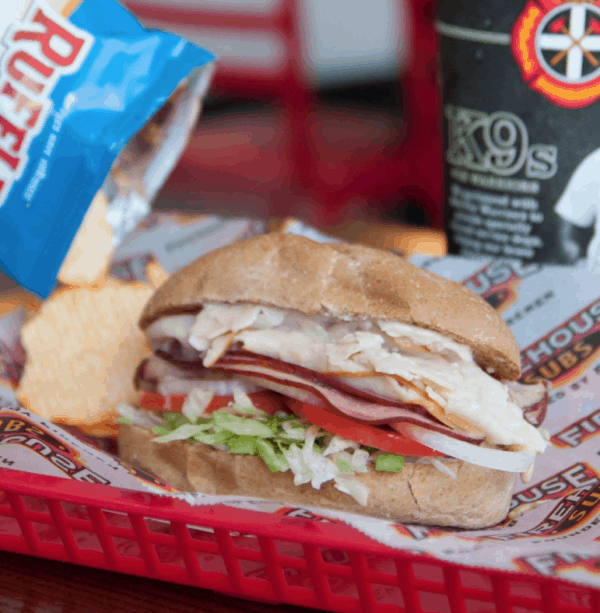 Here are several fun tax day deals and freebies for 2019 to brighten your day a bit! 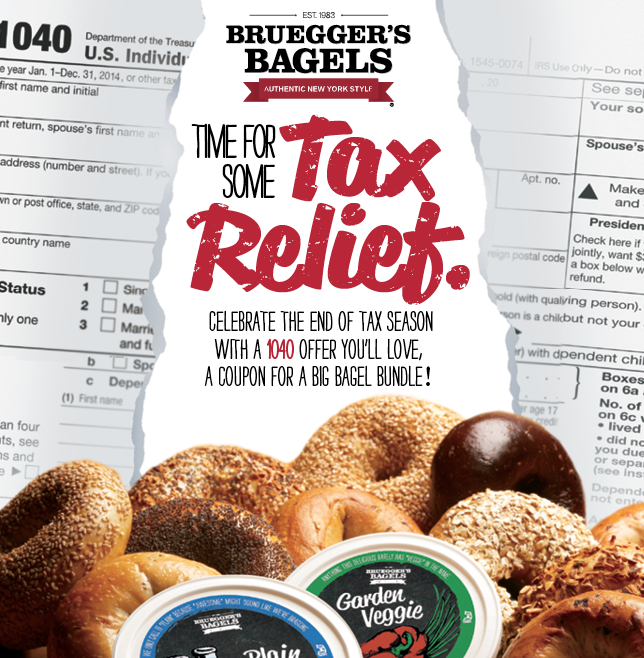 Brugger's Bagels: Big Bagel Bundle $10.40 – Includes (13) New York Style Bagels and (2) Tubs of Cream Cheese. Valid April 10 – 15. Must join the Brugger's Inner Circle Rewards Program. 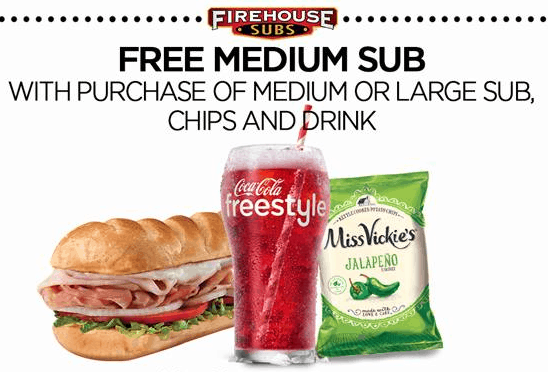 Firehouse Subs: Free Medium Sub with Purchase of Full-Price Medium or Large Sub, Chips, and a drink Firehouse Subs Tax Day Coupon. Valid April 15 – 17. 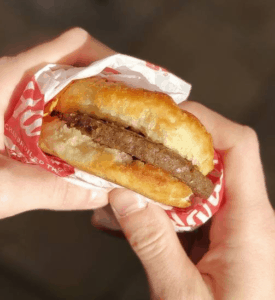 Hardee's: Free Made from scratch Sausage Biscuit. Valid 7 AM – 10 AM local time and use phrase “Made from scratch” when ordering. Tax not included – limit 1 per customer. Lenny & Larry's: Supplying select H&R Block locations with free cookies. Do your taxes at the location and receive a free bag of Lenny & Larry's The Complete Crunchy Cookies. Menchies: FREE $5 Frozen Yogurt when you download the app by April 15 (coupon will show up in the app). Mountain Mike's Pizza: $3 off Large Pizza using code 481658 or $8 off (2) Large Pizzas using code 883457. Noodles & Company: Rewards Members will receive $4 off online or mobile orders of $10 or more, April 10 – 15. Make sure you sign up for the rewards program by April 9 to participate. 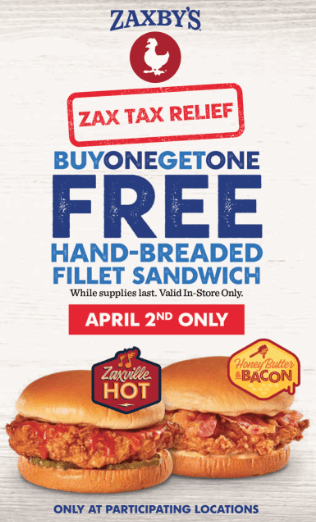 Potbelly Sandwich Shop: BOGO Entree when you mention it is Tax Day. Know of any other tax day deals for 2019? Be sure to let us know in the comments so we can get them added to the list! 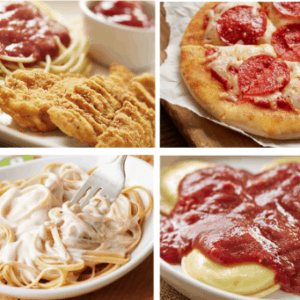 You can score a $1 Kid’s Meal at Olive Garden when you purchase an adult entree and use this coupon! 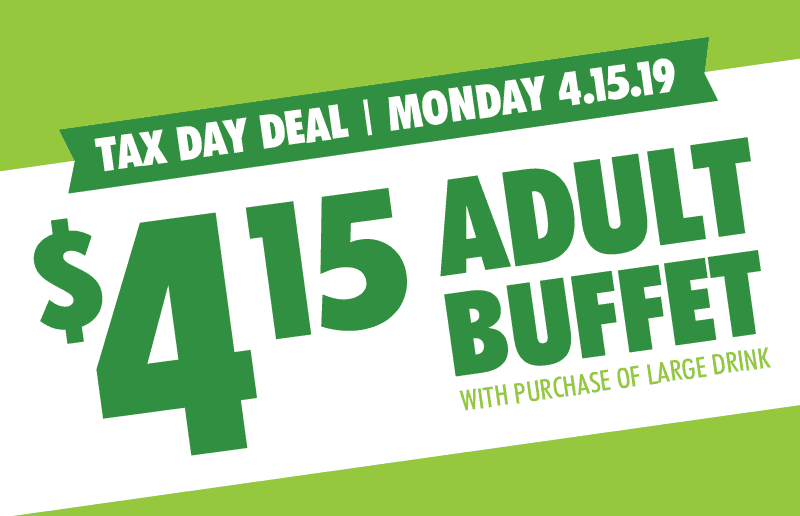 Offer valid for dine-in only through 4/14. Limit 2 deals per coupon for children 10 and under. Just show it on your mobile device. Also check out these current Olive Garden specials we love! 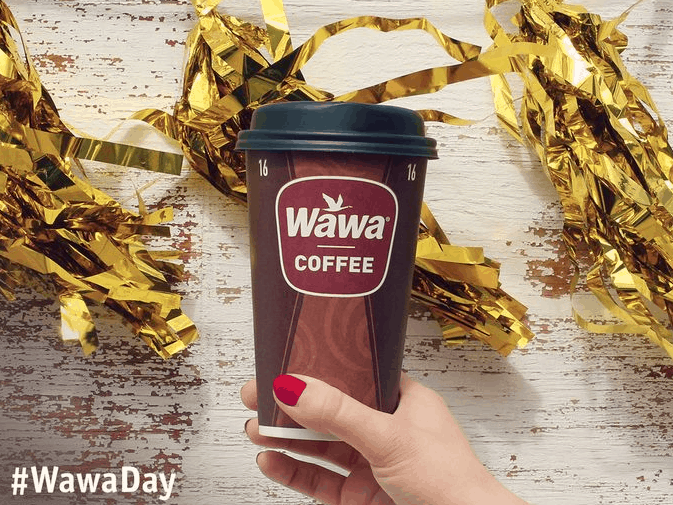 Free Coffee at Wawa All Day Long – 4/11 Only! Do you have a Wawa Convenience Store nearby? 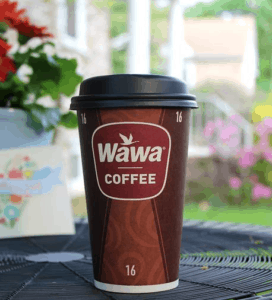 On 4/11 only you can get a free coffee at Wawa (any size), no purchase necessary! (This includes self-serve. Valid one per customer). Fun little freebie for your Thursday! April 10, 2019 by Laurie 1 Comment This post may contain affiliate links, which means if you click on a link and purchase something, I may earn a small commission (at no additional cost to you.) See my disclosure policy HERE. Here's a fun bargain to enjoy on 4/10! 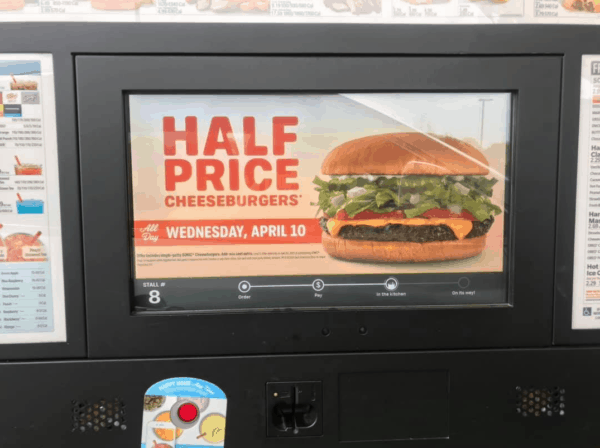 Get half price Sonic Cheeseburgers (single patty) all day long! 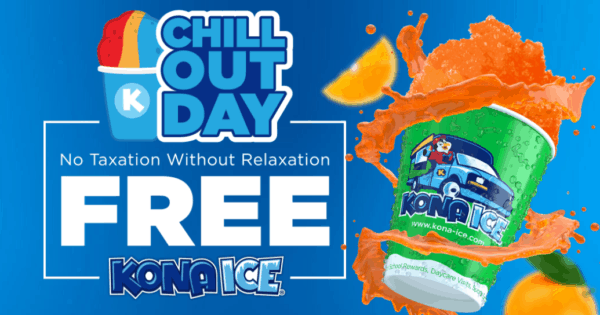 And don't forget you can also enjoy half price Slushes from 2-4 PM every day at Sonic, and half-price shakes after 8 PM ~ yum! (Just mention the deal when ordering). 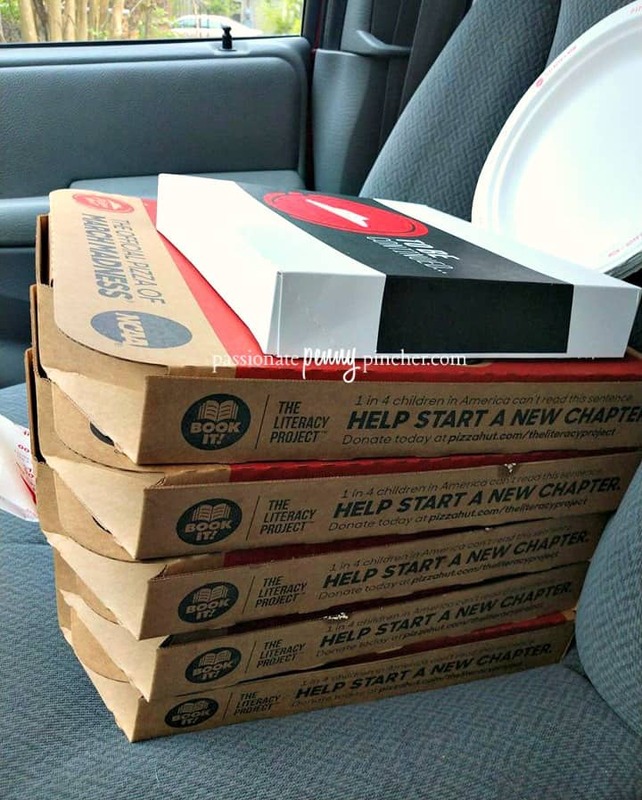 Pizza Hut | Large 2-Topping Pizzas Just $5.99! April 9, 2019 by Laurie 3 Comments This post may contain affiliate links, which means if you click on a link and purchase something, I may earn a small commission (at no additional cost to you.) See my disclosure policy HERE. Here’s a great deal on pizza if you need an easy meal this week! 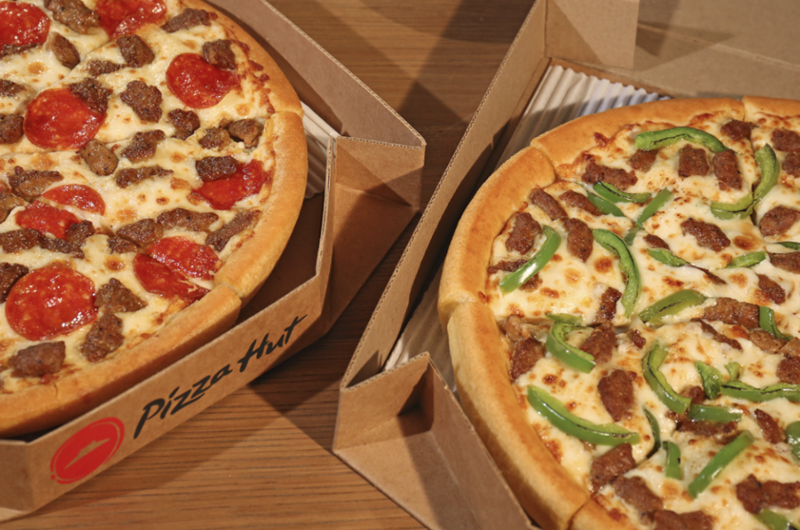 Through 4/15, pick up large two-topping pizzas for just $5.99 each at Pizza Hut when you order 1 or more! Valid for carryout only when your order online. Easy way to save on a quick lunch or dinner! Do you have a Nothing Bundt Cakes shop nearby? 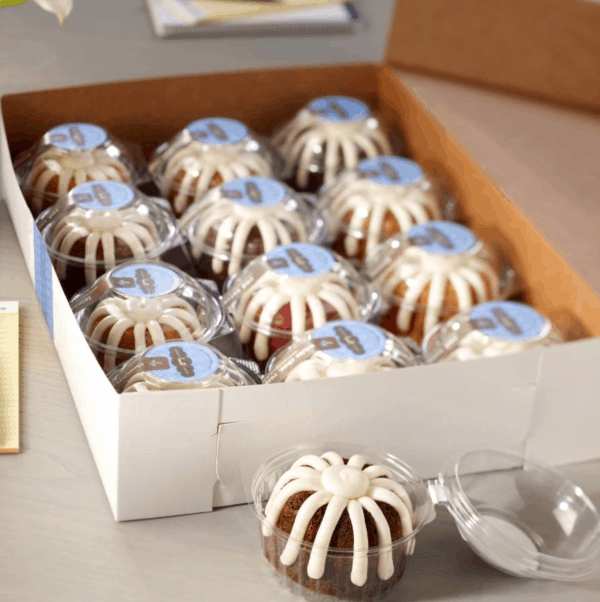 Today only (4/9) at 3pm, participating Nothing Bundt Cakes locations will be giving away free Confetti Bundtlets to the first 300 customers in line! (No purchase necessary. One per person). These will likely go fast ~ YUM! 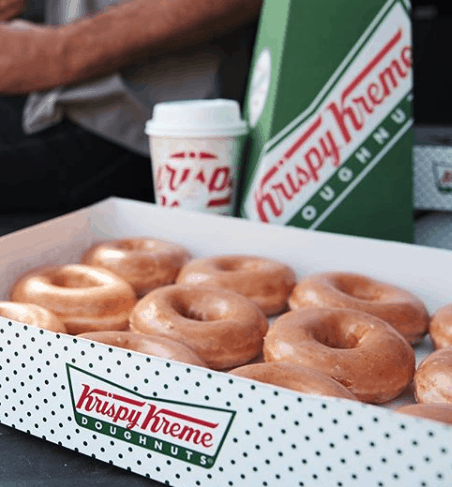 From 4/9 – 4/11 only, Reward members (free to join) can score one dozen Krispy Kreme Original Glazed doughnuts for $6.99 when you scan your Krispy Kreme app at participating locations! Easy way to save on a fun treat ~ yum! Limit 2 dozen. Love anything and everything chocolate? 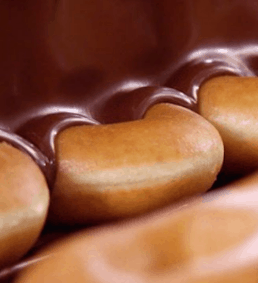 On 4/5 only (and the 1st Friday of every month), Krispy Kreme is offering Chocolate Glazed Doughnuts available at select locations all day long! Plus, select Reward Members can score a dozen Chocolate Glazed Doughnuts for $5 with the purchase of any dozen! You may want to give your location a call to make sure they’re participating before you head out. Go HERE for more info! National Burrito Day 2019 | Save at Moe’s, El Pollo Loco, and More! 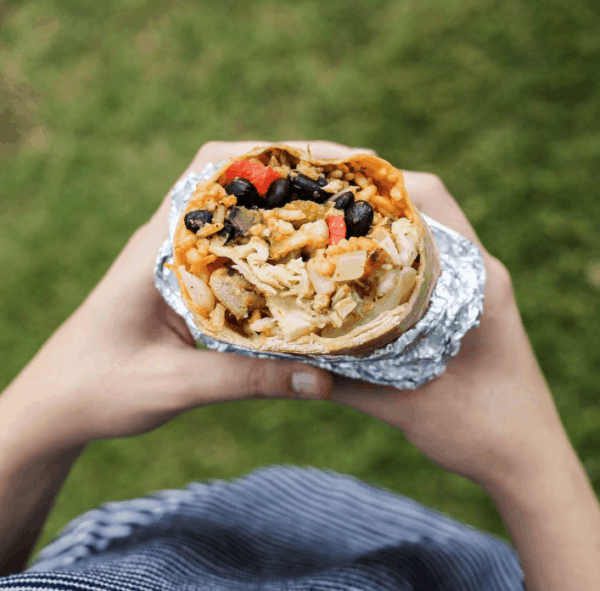 In honor of National Burrito Day, you can score some fun savings today at the below restaurants! Valid at participating locations only, so you may want to give yours a call before heading out. 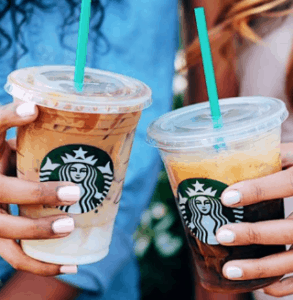 Starbucks is offering Grande Espresso Drinks for just $3 on 4/4 from 3pm – close! Find this offer in the Starbucks app. This includes Cappuccinos, Caramel Macchiatos, Caffè Lattes, and tons more (see list here)! Might make for a fun treat! 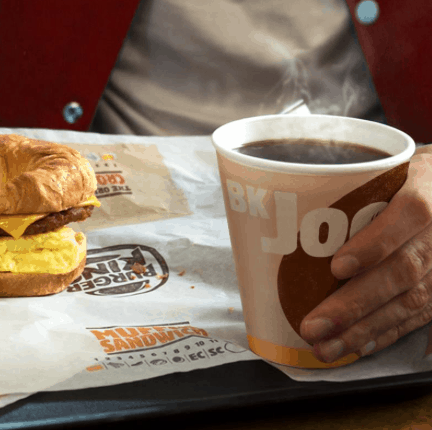 Burger King | Free Coffee Daily All Month Long ONLY $5! 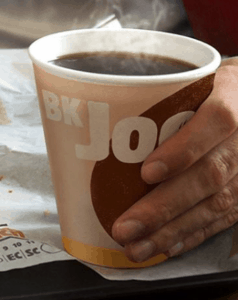 Right now when you sign up for Burger King’s new BK Cafe Coffee Subscription, you'll score a free small hot coffee everyday for just $5 per month at participating locations! (That's like paying under $.20 per cup!). Just look under the “offers” tab on the Burger King app and hit ”Subscribe Now”. 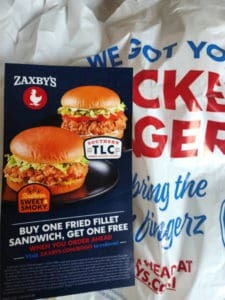 Zaxby’s | Possible BOGO Chicken Fillet Sandwiches – Today Only! Love Zaxby's? Select locations are offering BOGO Chicken Fillet Sandwiches today only (4/2)! Just check your emails or text messages from Zaxby's to see if you got this special offer ~ easy way to save on dinner! Or, you can score BOGO Fried Filet Sandwiches when you GO HERE and place your online order in advance. 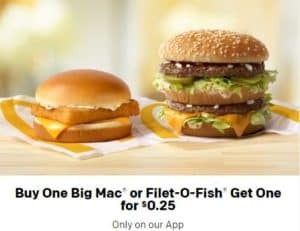 This one-time deal gets you not one, but two hand-breaded, fried fillet sandwiches. 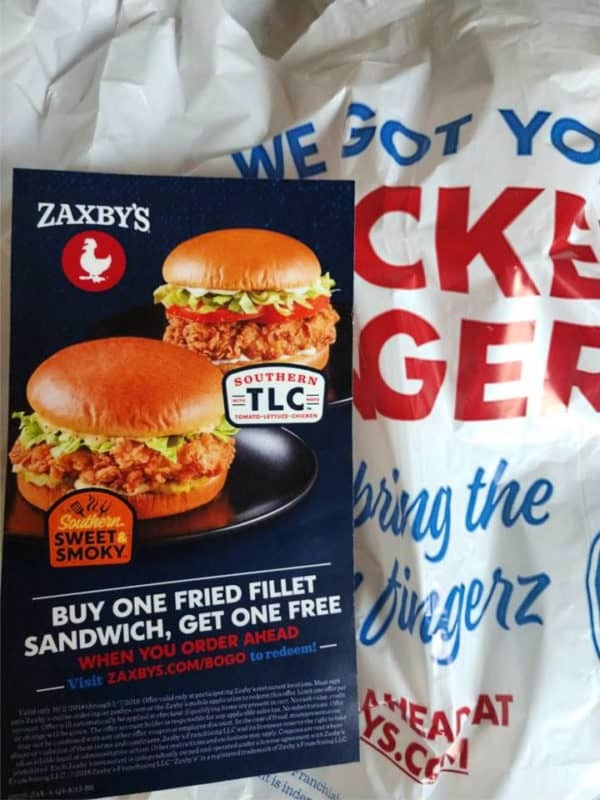 To take advantage of the offer, sign in or create a Zaxby’s account, add your choice of two Southern Sweet & Smoky Sandwiches, two Southern TLC Sandwiches, or one of each to your cart, and we’ll take care of the rest. 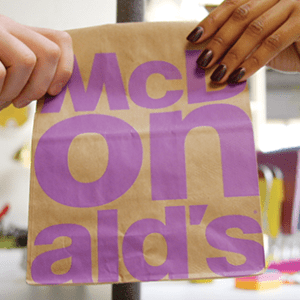 It’s BOGO magic, no coupon needed. Go HERE to see more great Zaxby’s Secret Menu Hacks! Mark your calendars, and don't forget to grab your free chocolate chipster on 4/15! 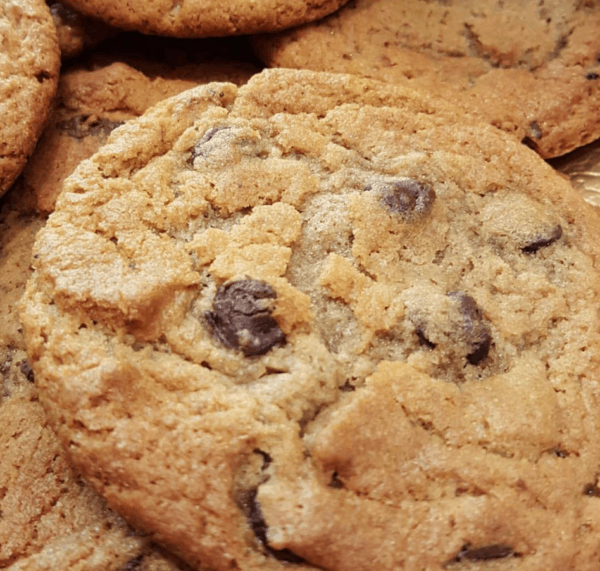 Stop by Great American Cookies on 4/15 and you'll get a free Chocolate Chip Cookie in honor of Tax Day! You may want to give your nearest location a call to make sure they're participating before you go ~ yum! 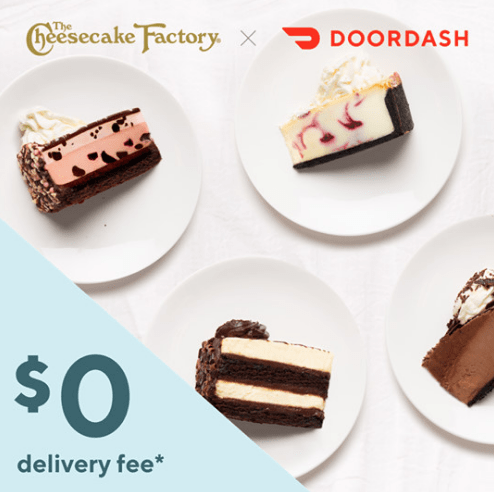 Coming up on 4/1 at 4pm EST, you may be able to get a free $25 reward to use on your next Cheesecake Factory DoorDash delivery! Just follow the steps below for your chance to win ~ there are 10,000 rewards available (valid through 4/7)! 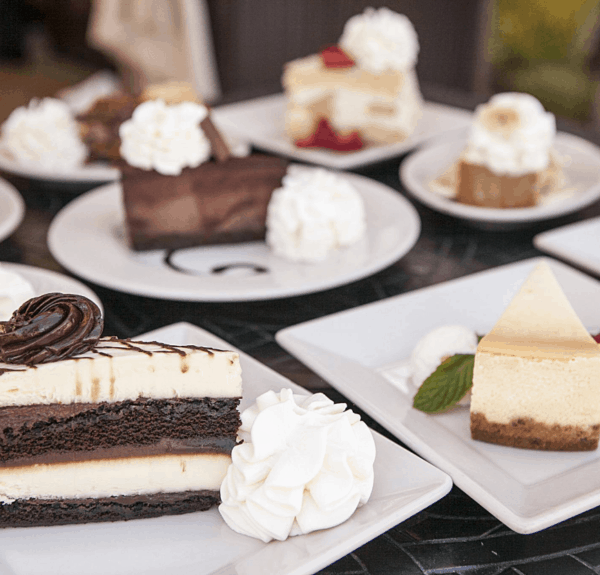 If you don't get the $25 reward, you can score $0 delivery fee on a Cheesecake Factory order this week (no minimum order required)! 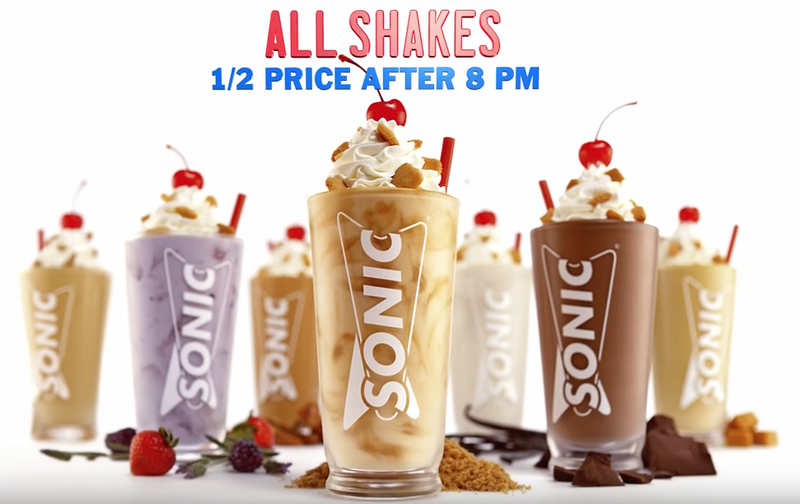 Sonic Half Price Shakes After 8pm – All Summer Long! 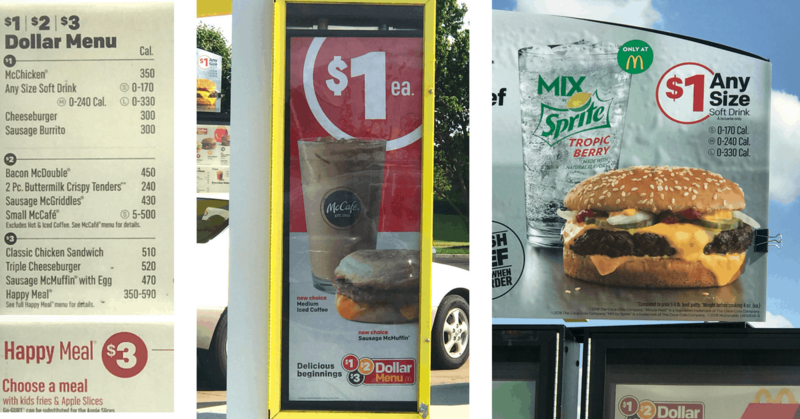 Probably one of my favorite deals during summer is the Sonic Half Price Slushes from 2-4 PM each day, and it looks like they’ve brought back their Sonic Half Price Shakes again as well each night after 8 PM! There are dozen of delicious flavors available, now through the end of summer. We don’t visit Sonic often, but when we do we can usually purchases three small slushes for $1.79. This is a great little deal, and a good way to pinch a few pennies if you’re eating on the run! 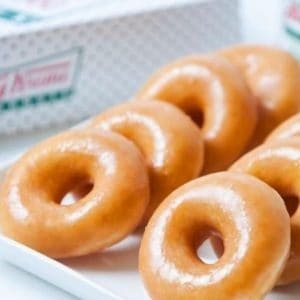 Krispy Kreme Dozen Doughnuts Just $2? March 29, 2019 by Laurie Leave a Comment This post may contain affiliate links, which means if you click on a link and purchase something, I may earn a small commission (at no additional cost to you.) See my disclosure policy HERE. 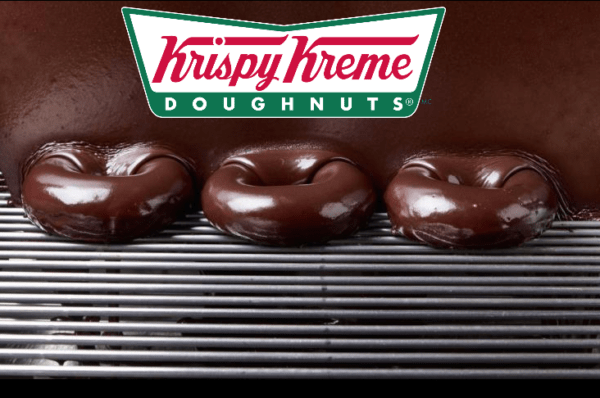 Krispy Kreme is offering Reward Members a great deal on doughnuts! 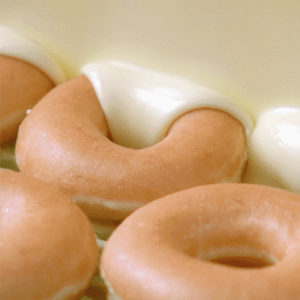 Buy any dozen at regular price through 3/31, and get a second dozen of original glazed for $2 ~ yum! Just scan your app at checkout. Who wants a free pizza?! 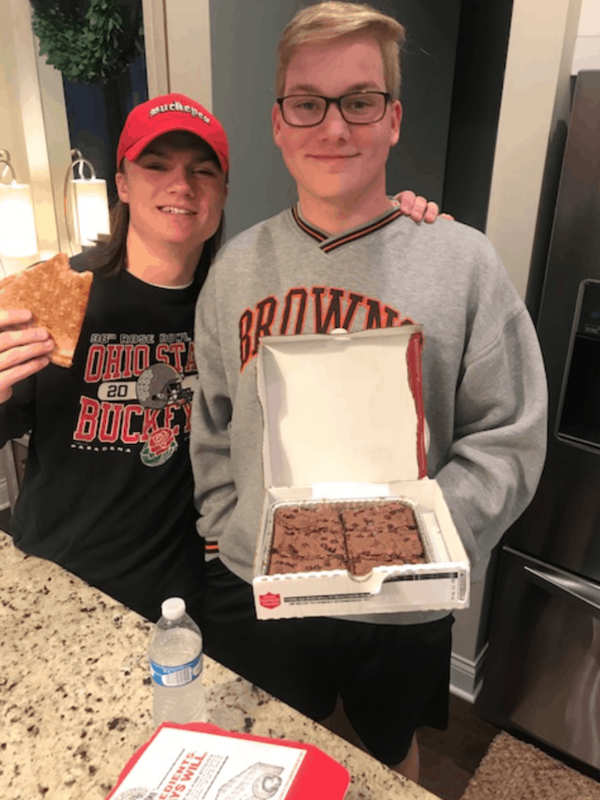 Papa John's is offering Rewards Members free large 2-topping pizza with any $20 purchase through 3/31/19 when you order online! (The points will show up the day after your purchase). Once the offer is in your account, use it online (or through the app) to score your free pizza by 4/14. Yum! 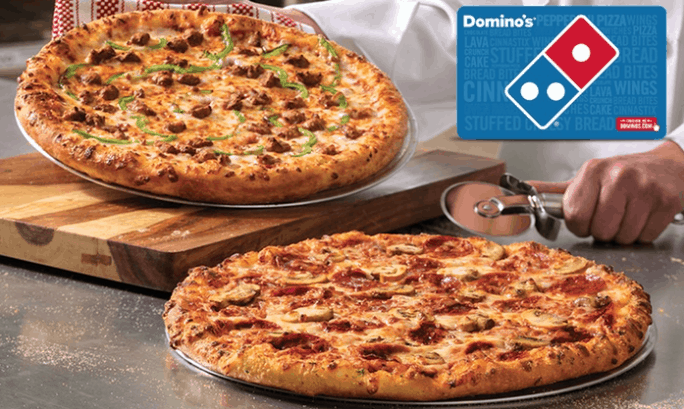 Pay $22.98 + Tax for two Xtra Large Pizzas AND get Rewards Points offer = ANOTHER Pizza – all for $23. WOOHOO! Not a Rewards Member? It's free to sign up! Half Price Sonic Cheeseburgers After 5PM Every Tuesday! March 26, 2019 by Laurie Leave a Comment This post may contain affiliate links, which means if you click on a link and purchase something, I may earn a small commission (at no additional cost to you.) See my disclosure policy HERE. Here’s a fun bargain! You can now score Sonic Cheeseburgers for half price every Tuesday after 5pm as part of their Family Night! And don’t forget you can also enjoy half price Slushes from 2-4 PM, and half-price shakes after 8pm every day at Sonic ~ yum! (Just mention the deal when ordering). 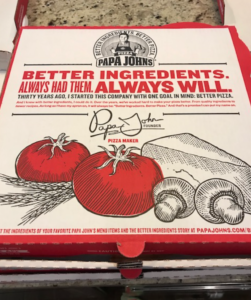 Papa Johns Pizza 50% Off! March 21, 2019 by Laurie 4 Comments This post may contain affiliate links, which means if you click on a link and purchase something, I may earn a small commission (at no additional cost to you.) See my disclosure policy HERE. 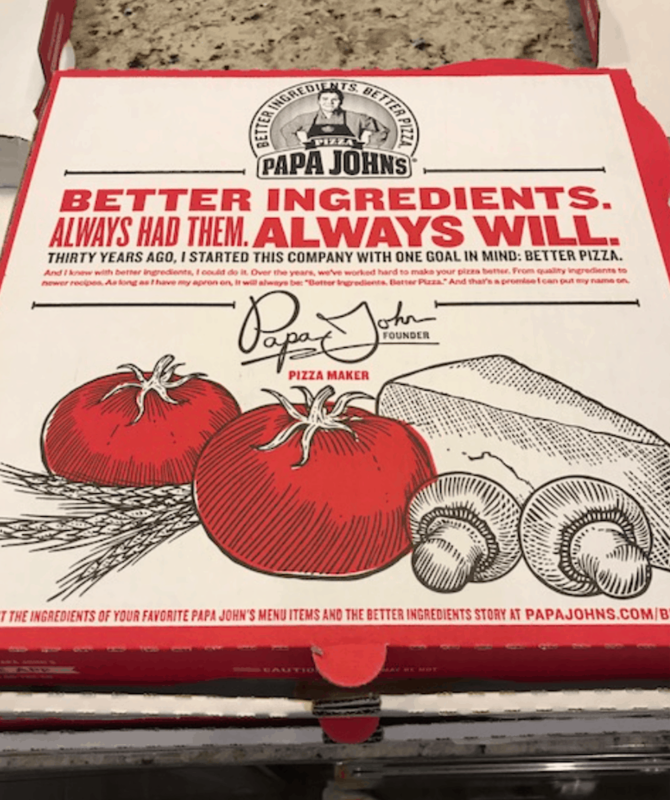 For a limited time only, Papa John's is offering 50% off any large regular menu price pizza when you order online and use the code MAR50PZZA at checkout! (Code may not be valid in all areas). Through 3/24/19, Pizza Hut is offering 50% off all regular-price menu pizzas ~ just use the code 50OFFMARCH19 at checkout (hit the “order now” button)! Do you live near a Papa Murphy’s Pizza? You can score 50% off your entire online order over $20 at Papa Murphy's with the coupon code BBALL50 at checkout! March 21, 2019 by Laurie 2 Comments This post may contain affiliate links, which means if you click on a link and purchase something, I may earn a small commission (at no additional cost to you.) See my disclosure policy HERE. 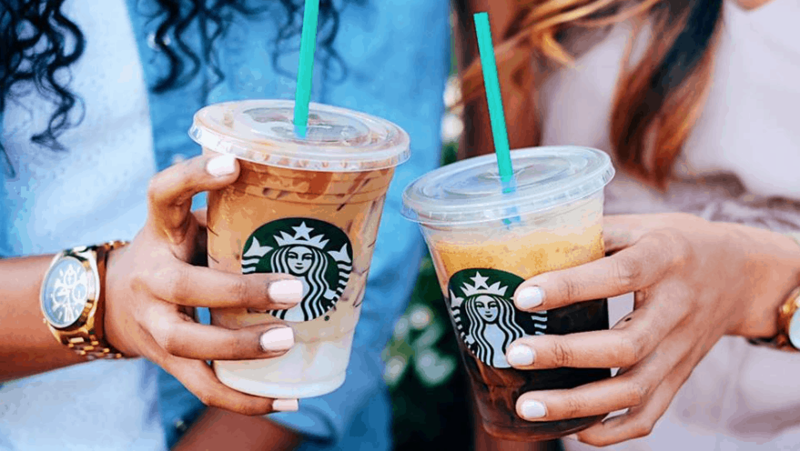 On March 21st only, you can head to Starbucks for 50% Off Grande or Larger Espresso Beverages after 3pm! Starbucks Rewards members will have the offer already in their app account, or non rewards members can sign up HERE! (NOTE: You must have the app to score this deal). Valid at participating locations. 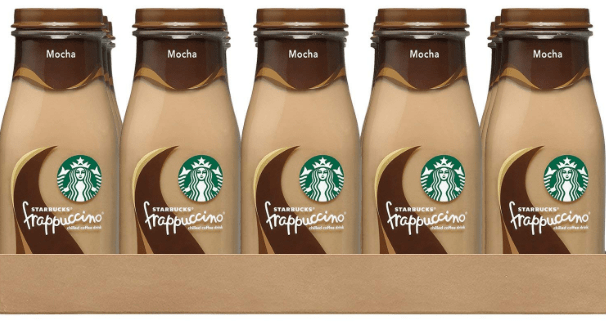 AND Check out these CRAZY good Amazon Starbucks Deals going on today! Free Rita’s Italian Ice on March 20th! March 20, 2019 by Laurie Leave a Comment This post may contain affiliate links, which means if you click on a link and purchase something, I may earn a small commission (at no additional cost to you.) See my disclosure policy HERE. 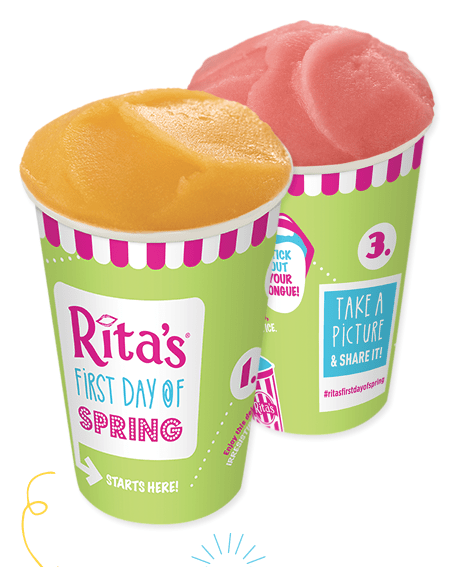 To celebrate the first day of Spring, Rita’s will be offering a free regular size Italian Ice from 12pm – 9pm at participating locations on March 20th – no coupon required! You may want to give your location a call to make sure they're participating before you go. Yum! Don't forget you can score a free small vanilla soft-serve cone at Dairy Queen on 3/20 in celebration of the first day of Spring! You’ll want to give your location a call to make sure they’re participating before you head out. Limit 1 per person. Here is a fun deal for you! 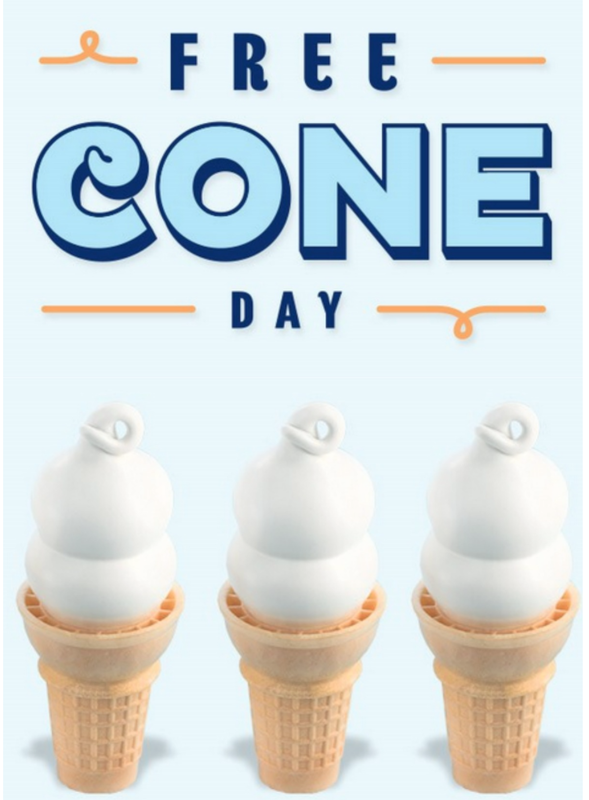 Dairy Queen will be offering customers a free small vanilla soft-serve cone on 3/20 in celebration of the first day of Spring! You'll want to give your location a call to make sure they're participating before you head out. Limit 1 per person. Also, Rita’s usually offers a free regular size Italian Ice from 12pm – 9pm at participating locations on March 20th – no coupon required! You may want to give your location a call to make sure they’re participating before you go. Yum!